Taking care of kids all day long really takes it out of you. That’s why, many times after we finally get all of our little ones tucked into their beds, we like to plop down on the couch, flip on the TV and totally veg out. 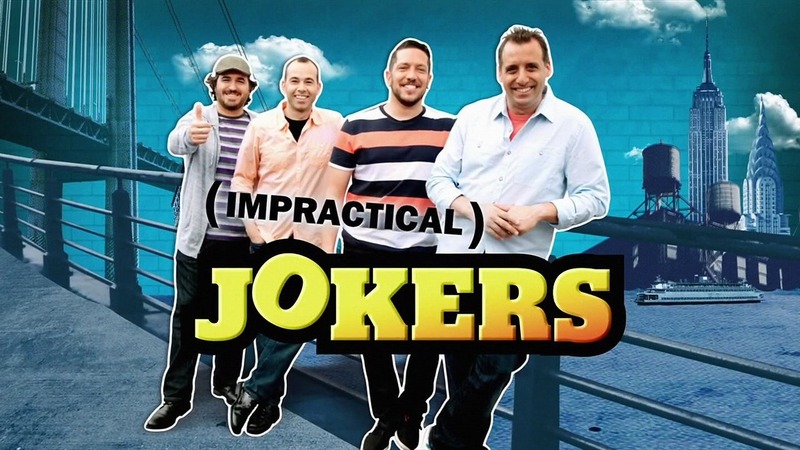 And one of our absolute favorite shows to watch at times like that is Impractical Jokers. If you haven’t seen it before, it’s basically four lifelong friends from New York City daring each other to make fools of themselves in public. They have hidden cameras, secret earpieces, and a bunch of super funny games to play. 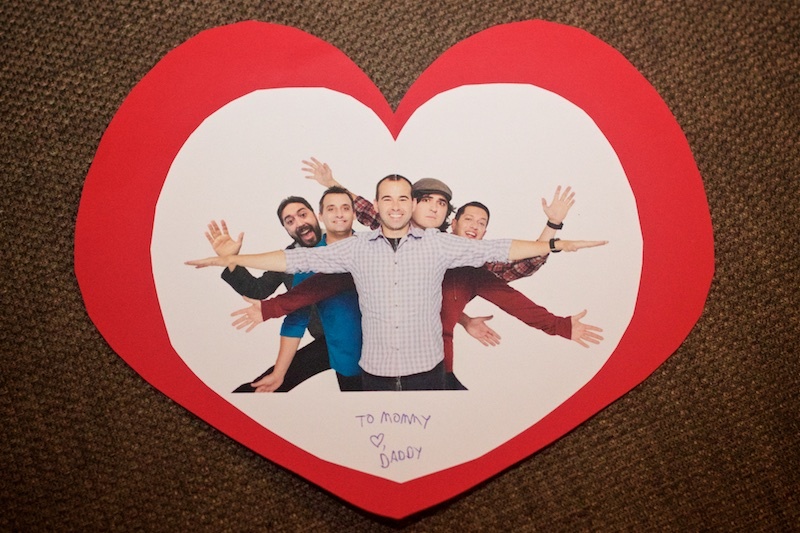 We love the show so much that Andy photoshopped himself into a picture of the Jokers one year for Valentine’s Day, and scored legitimate, not-at-all-sarcastic romance points with Amber. Big time. We highly recommend that you all put your kids to bed, turn on TRUtv and watch this show right now. But please note, we do not recommend that you take any of the Impractical Jokers’ advice about being parents! See, at the end of every episode, one Joker is named the “Loser” and gets “Punished.” During this punishment, the Loser must do everything the other Jokers tell him to do, or else he gets permanently kicked off the show. And in two recent episodes, they made the Losers act like they were pretty much the worst, most obnoxious parents ever. It was painful for them. But hilarious for us. So check out these videos now. 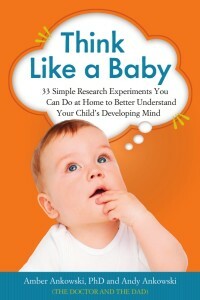 And then go remind your kids just how lucky they are to have you – and not these guys – as parents!